Pregnancy is a time of great physical change. While you may notice slight changes in your skin and hair condition along with the more obvious changes to your body, should there be any changes to your feet? Here’s our guide to what to look for and how to keep your feet healthy and pain-free throughout your pregnancy. During pregnancy the body produces approximately 50% more blood and bodily fluids than usual. This additional fluid tends to build up in the lower extremities i.e. your feet and ankles. As your growing uterus puts pressure on your veins, it also makes it more difficult for blood to flow back up to your heart. These two factors combined can make your feet grow and swell. 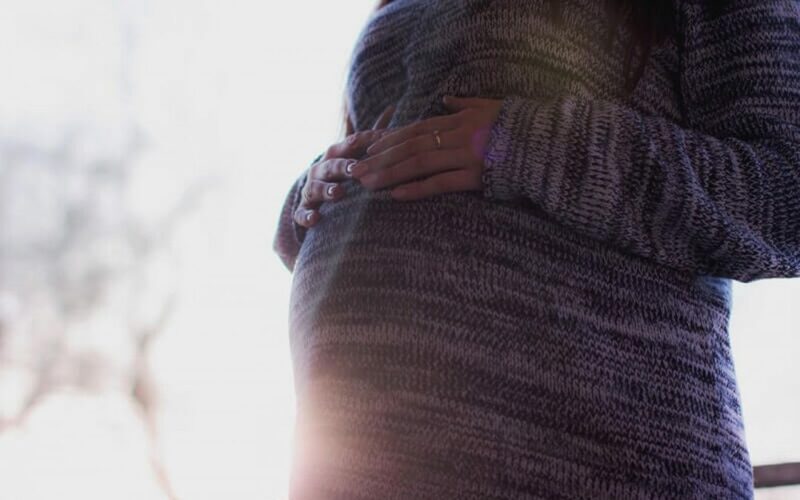 claims that these changes are more pronounced with a person’s first pregnancy than any subsequent pregnancies, and that, in most cases, the swelling reduces back to a normal state post-partum. Due to an increase in the aptly named pregnancy hormone, Relaxin, ligaments in the body can loosen and relax, which means that your feet can widen and lengthen, and your arches can lower. This can mean that shoes that were once comfortable no longer fit, and your walking and standing posture can change. Due to an often-rapid weight gain, many people report an overall aching foot pain as part of their pregnancy symptoms. A change in foot size and shape can often make footwear uncomfortable, and a change in posture can cause hard skin to form on your heels and toes. With this in mind, here are some tips on how to avoid unnecessary pain and discomfort during your pregnancy. Exercise: Gentle exercise, such as walking, will help boost your circulation, in turn reducing the swelling in your feet. Raise them up: At the end of the day (or whenever you need to) try to put your feet up – literally! Raising your feet to an elevated position will help excess fluid to drain away. Move: Try not to stand up for a long period of time or, if you’re sat at a desk, get up and walk around every so often. Keep cool: Hot feet will swell even more, so try to keep your feet cool by wearing comfortable open shoes or going barefoot around the house. Wear shoes that fit: As irritating as it may be, you don’t want to cause unnecessary pain, so buy new shoes that will fit your feet as they go through these changes. If you’re noticing changes to your feet during pregnancy that are causing you pain, you should visit your GP to check for any underlying causes. In many cases, they may refer you to a podiatrist to help. If your stance and posture has altered due to the changes listed above, it may be time for some orthopaedic inserts to help make your footwear more comfortable and to better support your new foot shape. While you may not be able to see your feet anymore over the baby bump, we certainly will be able to! We will help you take care of them to reduce pain and discomfort. Contact us today to make an appointment. Our friendly team are working at clinics across London, ready and waiting to help you.